Holland- renowned for tulips, windmills, and extracurricular activities. On my recent visit though, I stuck to PG-rated pursuits. I was determined to get windmill shots while in the Netherlands, so I carved out a day to visit a small village outside of Rotterdam. 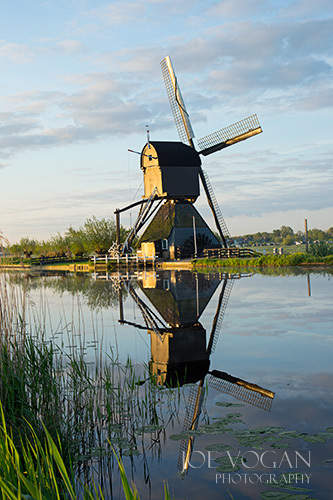 This impressive location about one and a half hours south of Amsterdam is the UNESCO site of Kinderdijk. A series of nineteen windmills, mostly from the 18th century, are spaced out along canals stretching approximately two miles. The design of the mill network or “watermills” found here was for draining the land. 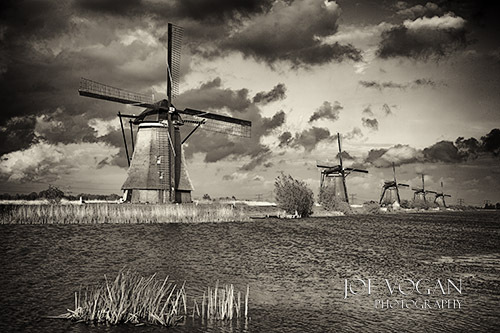 These windmills at Kinderdijk were active up until World War II, but more modern technology does the job today. An example of an earlier design, the hollow post mill, on the canal. 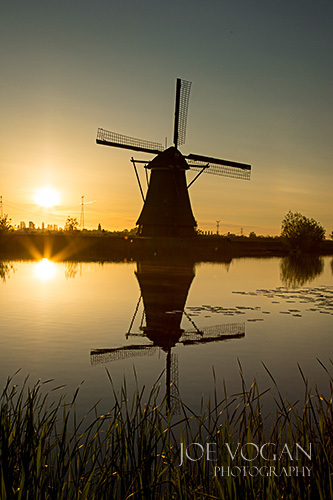 This entry was posted in International Travel, World Travel and tagged Holland, Kinderdijk, Netherlands, photography, UNESCO Heritage Site, windmill by Joe Vogan. Bookmark the permalink.